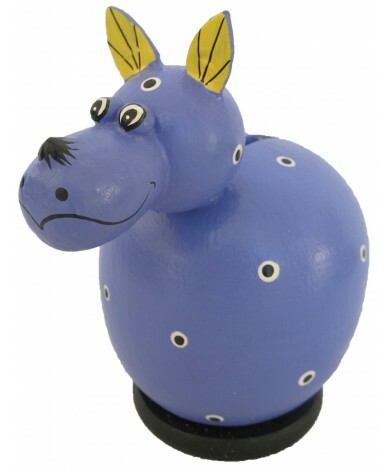 This small Purple Rhinoceros Piggybank is one of our many assorted small animal coin banks we offer here at A Lost Art. 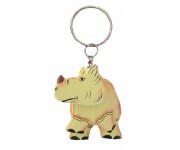 The small handmade coin banks are approximately 4" at the base and the height varies depending on the animal style. Start great money saving habits with these cute jungle animal piggybanks.